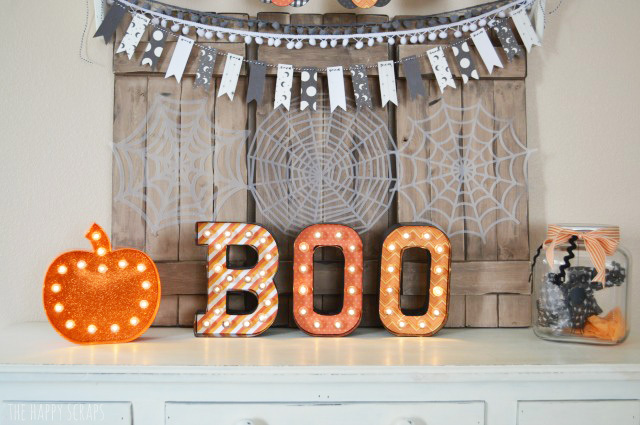 I got my Halloween decor put up a couple of weeks ago, and I LOVE it. Every time I decorate this table and shelf of mine, it ends up different. Maybe it’s because I make new decor + still have older stuff that I love so I mix it up. 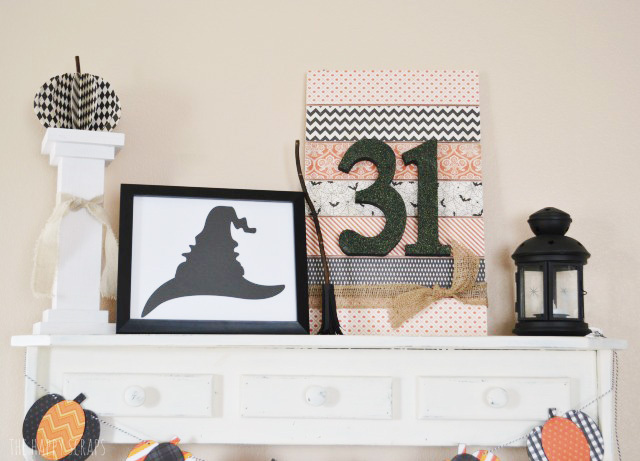 This year I decided to decorate with Orange, Black, & White Halloween Decor and I adore the way it turned out! I love it so much, that I decided to share it with you today. When I opened up my Halloween box, I was trying to decide what pieces I wanted to use. 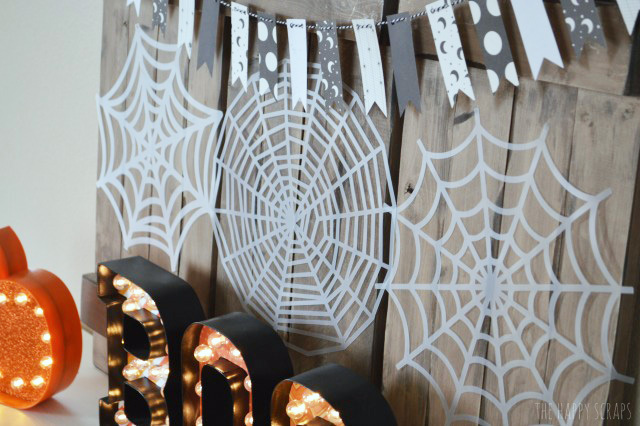 I didn’t want to stick with just the Black & White Halloween Decor from a couple of years ago, but I still wanted to use some of it. This is how the shelf turned out. 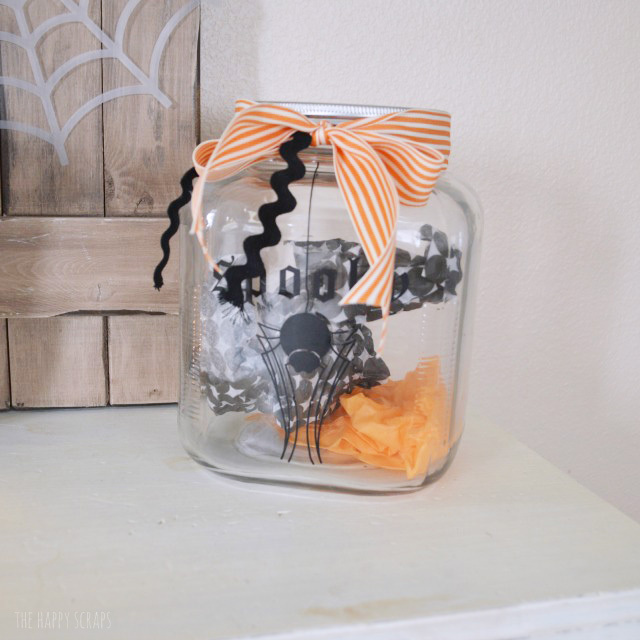 I still put the black and white pumpkin up on the little pedestal, just to add some dimension. 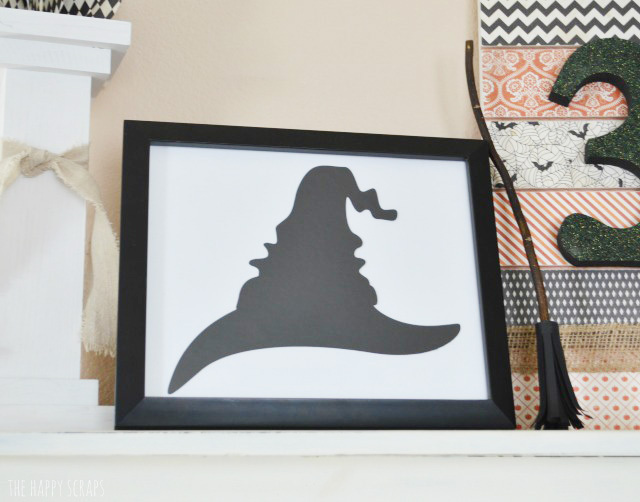 I still used my framed witch hat and the little broom that I made. 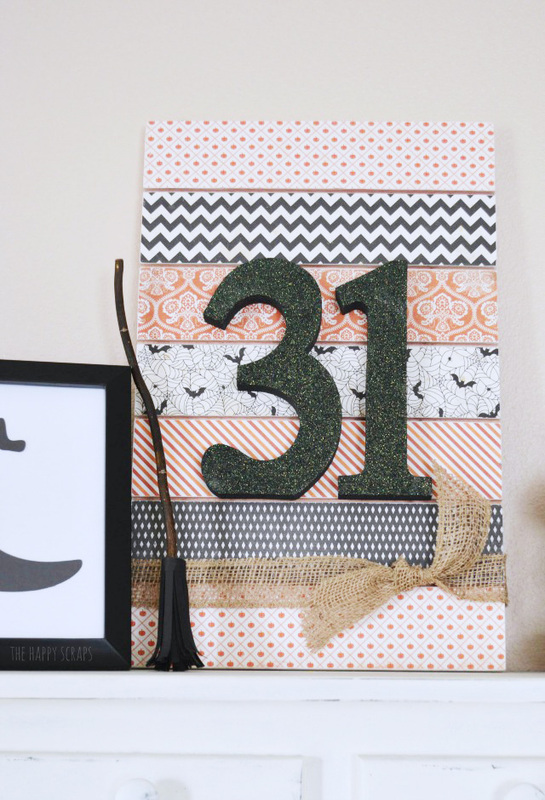 This year, instead of the Witch sign, I used my 31 sign, and I love that it added a little bit of color to the shelf. Then I added a black lantern to the end, next to the 31 sign. 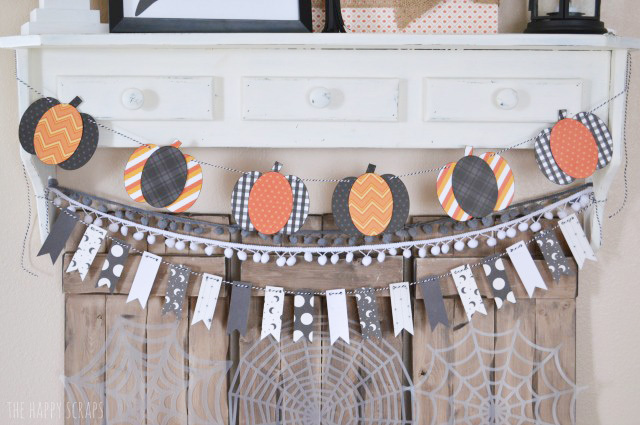 You might say I got a little carried away with the banners and garlands, but what can I say, I love them! 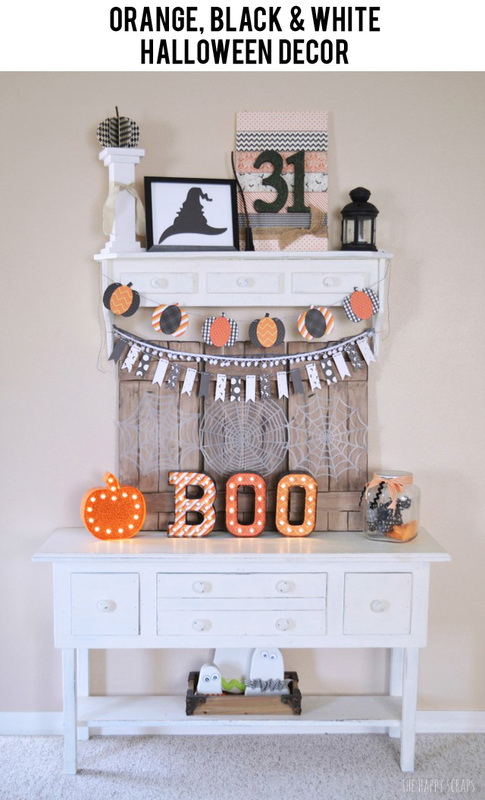 I used my Simple Halloween Pumpkin Banner, then added the gray and white pom poms and used the black and white banner from the Black & White Halloween Decor. 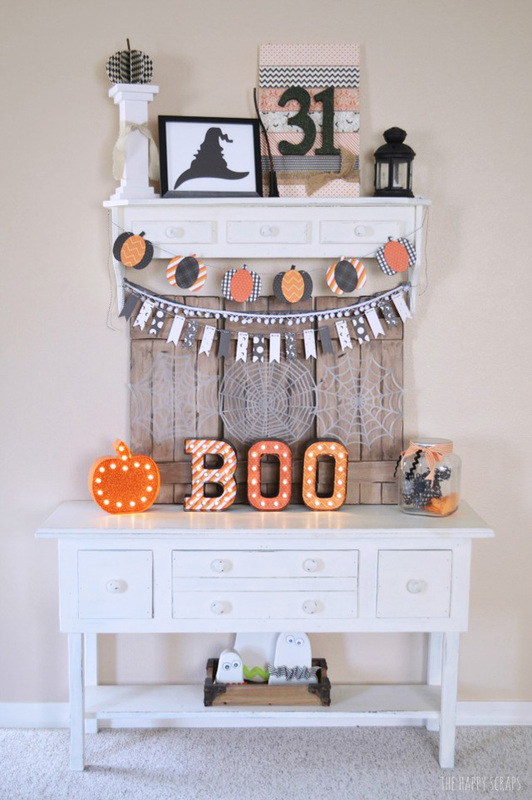 One thing that I changed up this year, is that I used my stained backdrop pieces rather than my white ones. I think it makes my spider webs stand out more, and as much as I HATE spiders, I really love these spider webs. On the tabel I added my BOO Marquee Letters. Last year I picked up the cute marquee pumpkin (as well as a bat and witch hat), and this is the first year that I get to use it. 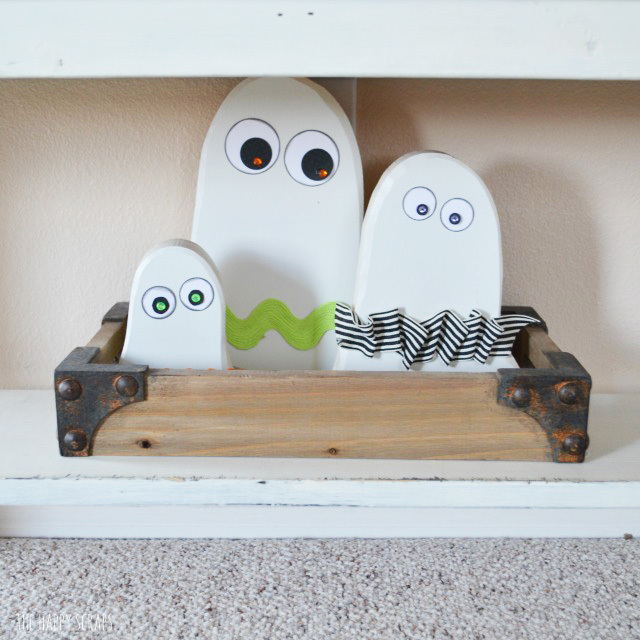 Last but not least, I added this cute little ghost family to the tray on the bottom shelf of the table. I haven’t generally decorated the bottom shelf, but I did for fall and now for Halloween. We’ll see if I keep doing it though, since my baby is just starting to crawl (wish me luck, I’m already mourning the fact that my Christmas tree won’t be decorated on the bottom…). Overall, I’m totally in love with they way it turned out. It kind of makes me wish I could leave it up longer than just a few weeks, but honestly, I feel that way about the decor everytime I decorate this space. So tell me, what is your favorite part about this whole display? 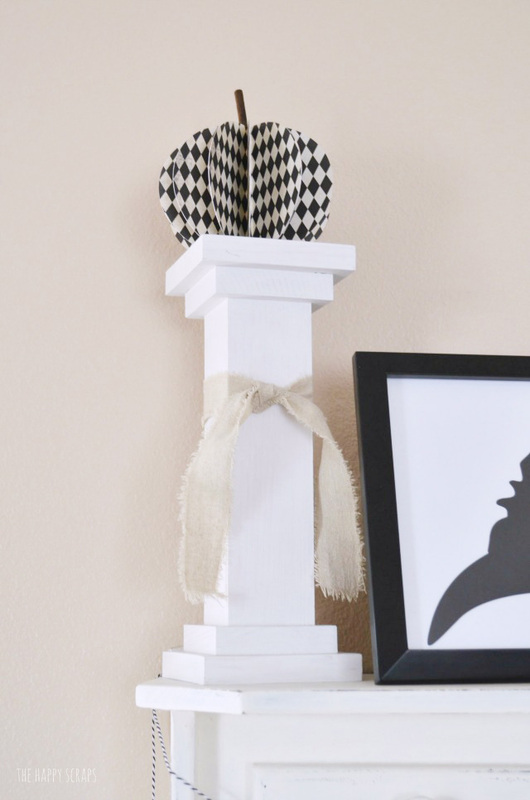 Do you have a mantel or somewhere that you like to decorate for the holidays? Great display! As far as the Christmas tree, you could use shatter proof ornaments & a baby gate.